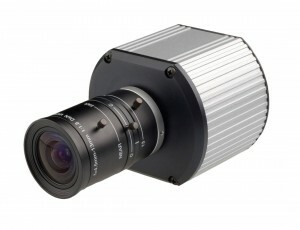 « IP network camera solutions. An IP surveillance system has long been the preferred upgrade path from analogue CCTV for both installers and end users alike. However an IP surveillance system is proving too expensive for end users and as a result this technology is finding it difficult to displace the analogue CCTV market at present. This is mainly due to the reluctance of end users to lose the investment they have already ploughed into their analogue CCTV solutions. 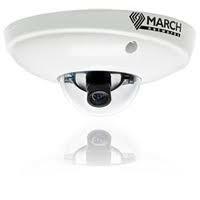 Hybrid CCTV solutions however may be the answer? Still an IP surveillance system has far greater flexibility and given the budget most companies are looking at moving towards IP for all their security solutions. IP surveillance systems have been around since around 1996 but bandwidth and network capacity have always been factors that has slowed the move to the uptake of end users towards an IP surveillance system however recent advancements in broadband speeds and network performance means that IP is now on the agenda for many. Security equipment manufacturers are now pushing harder for their IP kit to be installed . Still one of the limitations on the growth of IP surveillance systems has been the global recession and an apathy towards IP surveillance systems from entrenched CCTV installers. This will of course change as the price of an IP surveillance system begins to fall and the benefits become ever clearer. In the meantime however as we mentioned earlier Hybrid solutions will help ease us all into the IP surveillance way of thinking. This entry was posted on Sunday, June 12th, 2011 at 13:45	and is filed under IP surveillance system. You can follow any responses to this entry through the RSS 2.0 feed. You can leave a response, or trackback from your own site.